Our Fragile World (OFW) : Challenges and Opportunities for Sustainable Development Volumes I and II, 2263 pp. 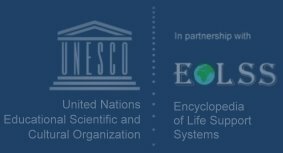 Knowledge For Sustainable Development (KSD) : An Insight into the Encyclopedia of Life Support Systems Volumes I, II and III , 3490pp. These books will be an invaluable resource to our education community.